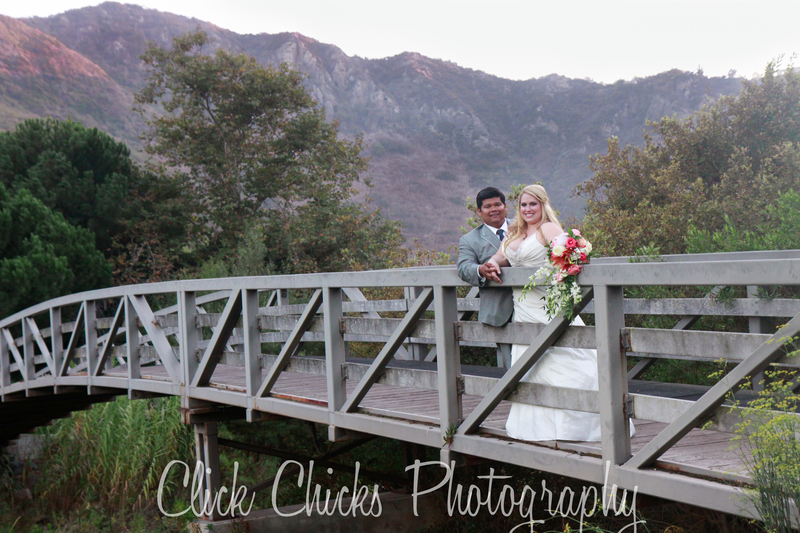 Their wedding last weekend was at Ben Brown’s/Aliso Creek Inn. I’m always happy to return to this gorgeous, pristine, canyon setting. 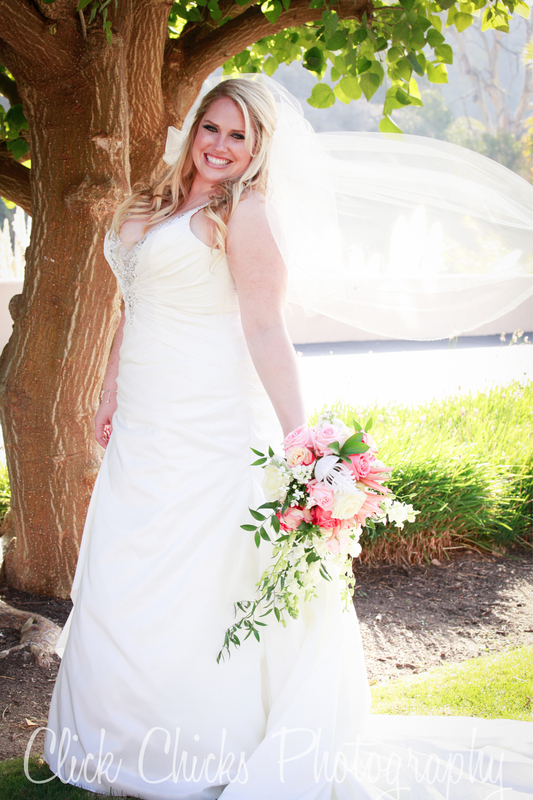 Krystal is a pleasure to work with! The deer apparently have developed a genetically improved skull, as they continually frolic on the greens without giving the flying golf balls a second thought. Ed brought his great-looking matte black pick-up and that’s where the cake(s) … yes, that’s plural … were set up. 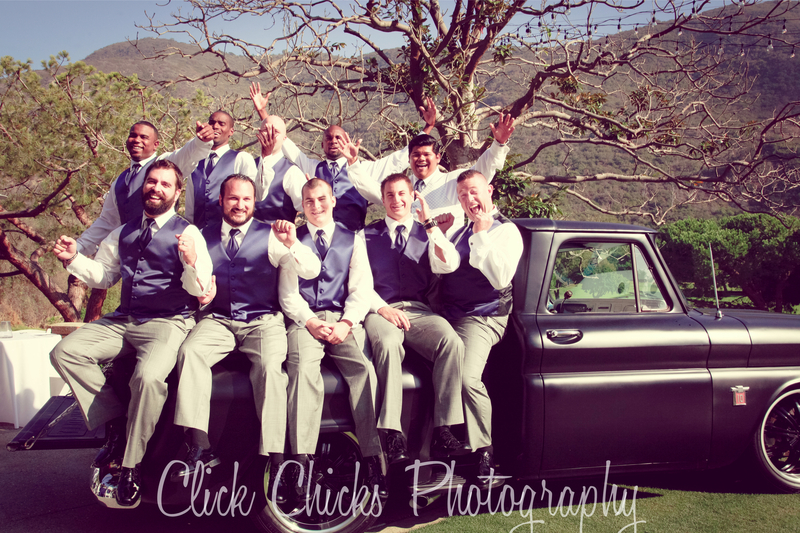 And we couldn’t resist taking a photo with all the groomsmen in the truck bed. 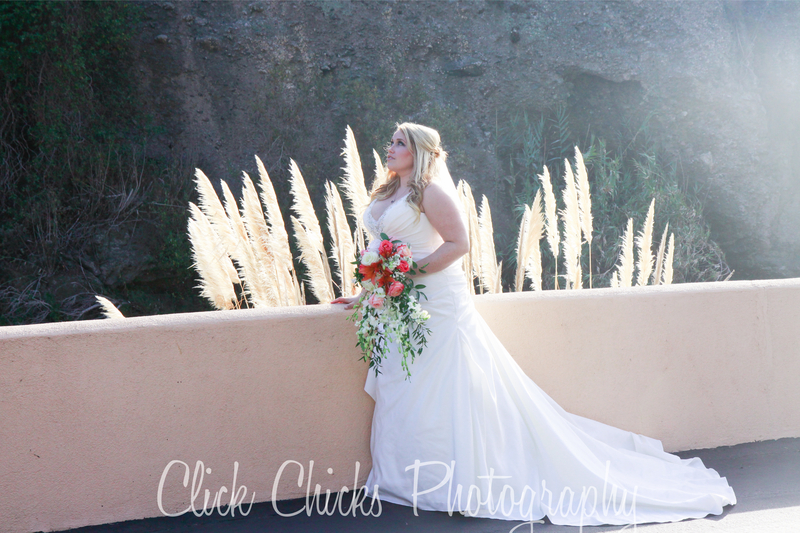 As you’ll see, Nikki looked spectacular. 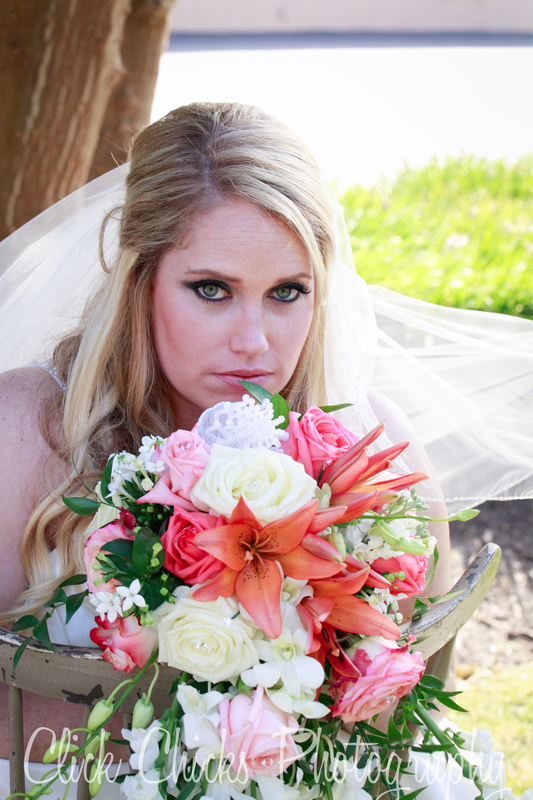 But I knew she would from our engagement session. Contender for best shot o’the day. 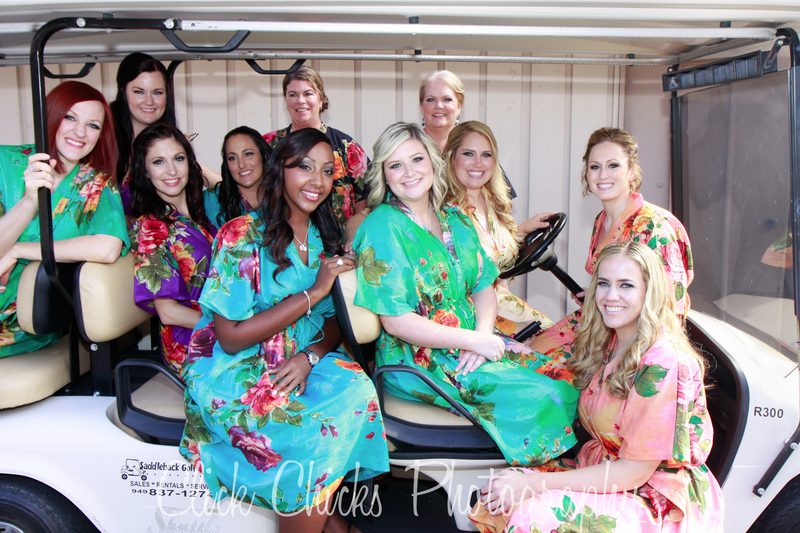 When you’re at a golf course venue, you …..
Gorgeous with a capital G!! Oh yeah! Guys love their trucks! 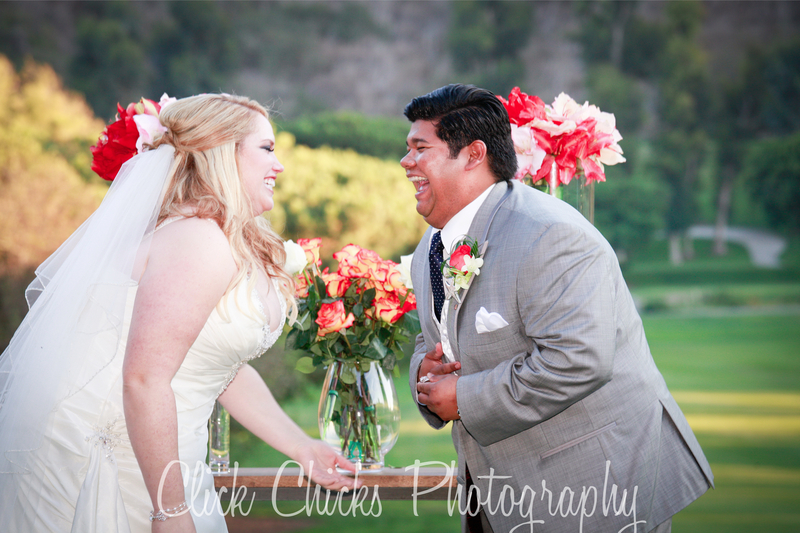 Light-hearted moment during the ceremony. Lots of laughs (and tears) throughout. The recessional. Such an amazing view. There are a number of bridges on the course. 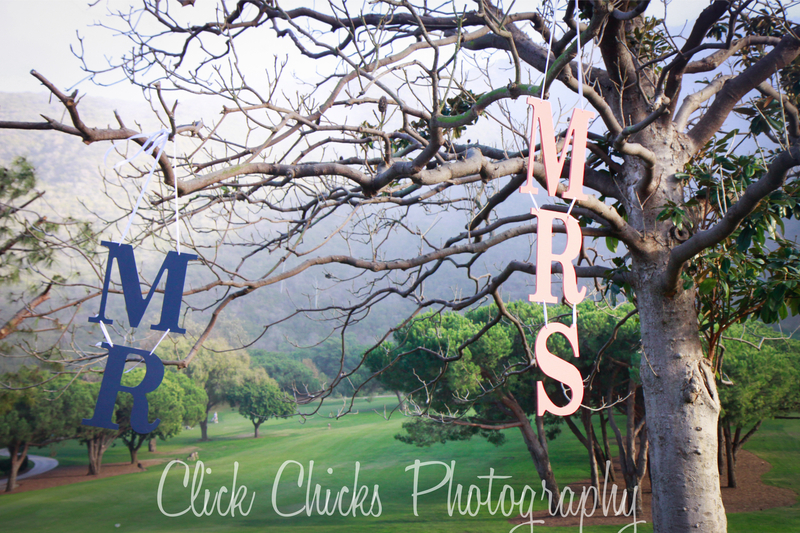 This one is the prettiest!!! 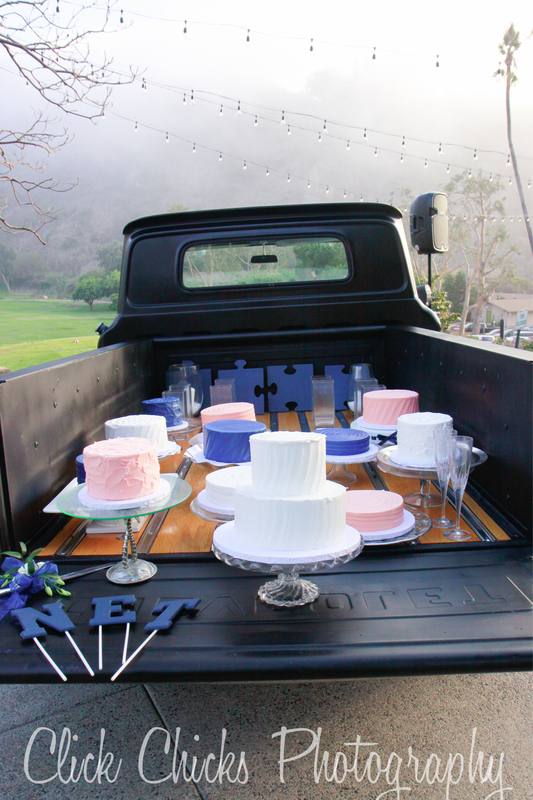 Such a cute idea to have the cakes in the truck bed. All different, too. Nikki’s favorite is blue velvet. That’s a new one on me. This is such a romantic shot. Love it! 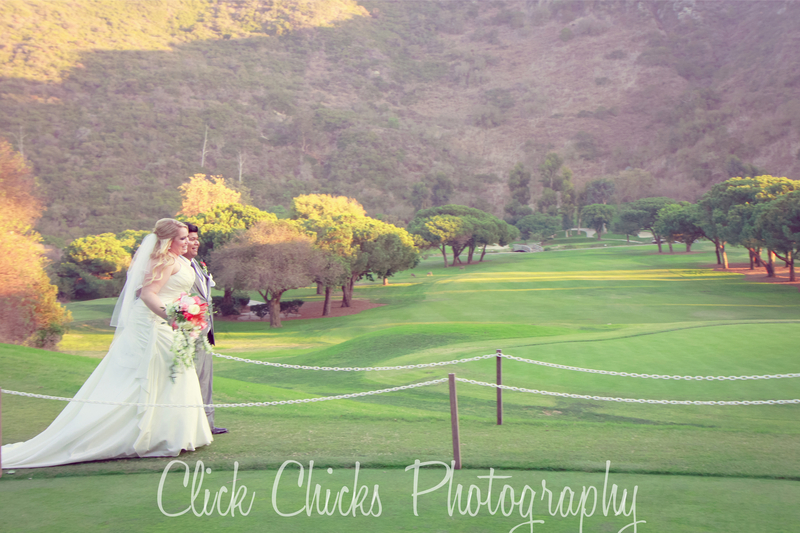 This entry was posted in Uncategorized and tagged Aliso Creek Inn, Aliso Creek Inn wedding, Ben Brown's wedding, Click Chicks Photography, laguna beach wedding, laguna beach wedding photographer, laguna beach wedding photographers, Laguna Beach wedding photography, Leslie Cunningham.